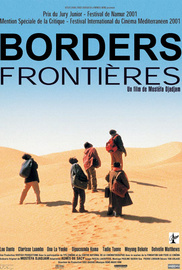 Six men and a woman set out on the hazardous journey from Senegal to Morocco in a bid to slip illegally into Europe to escape from the poverty and internecine warfare of Africa. Mostefa Djadjam's beautiful debut feature confronts the global controversy of refugees while examining the complexities of human nature. Djadjam, originally trained as an actor, gives a restrained, compassionate account of what is at stake for illegal immigrants, fashioning a stunning film for its subtleties about identity.